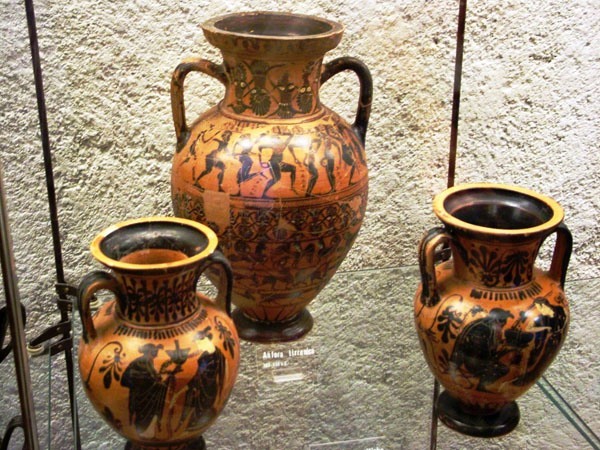 The Etruscans were an ancient Italic civilization linguistically identifiable around the 700 B.C. Their culture developed from a prehistoric civilization known as Villanovan (ca. 900–500 B.C.). 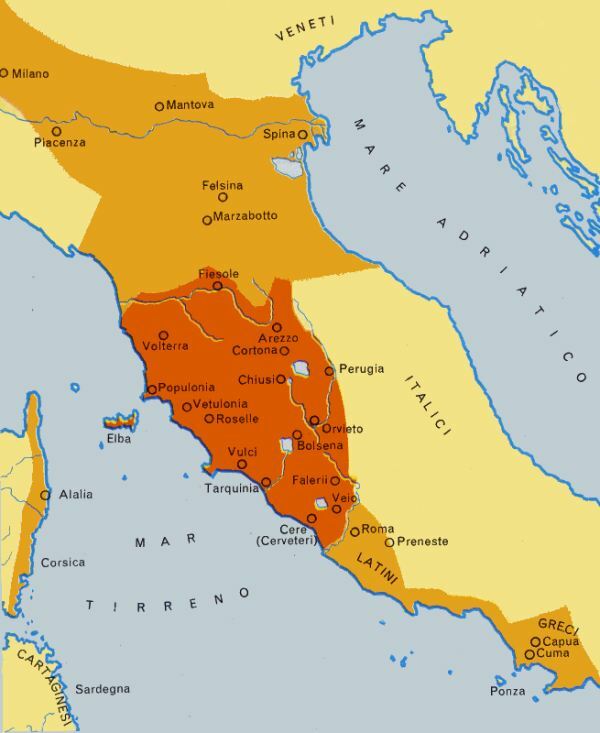 By the beginning of the VII century B.C., the Etruscans occupied the central region of Italy between the Arno and Tiber rivers (in region Tuscany), and eventually settled up to the Po River valley and down towards Campania. 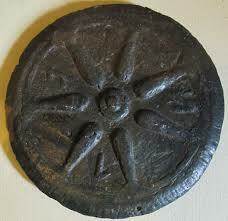 They flourished until the end of the II century B.C., when they were fully assimilated into the Roman culture. 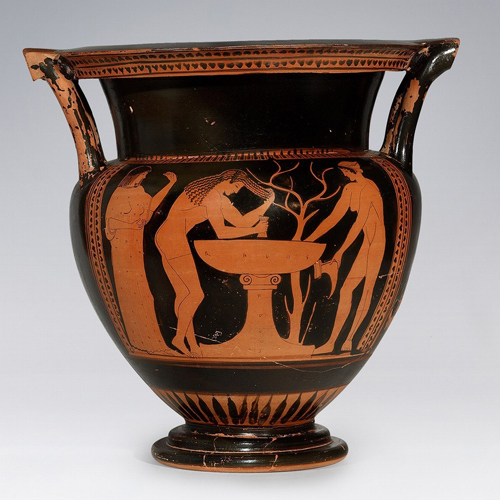 The origins of the Etruscans are mostly lost in prehistory. We have no literature, no original texts of religion or philosophy testimonials, therefore, much of what is known about this civilization is derived from grave goods and tomb findings. 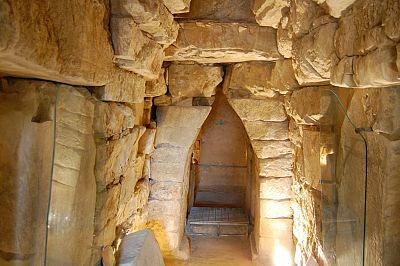 In Arezzo, the Etruscan itinerary starts from “Gaio Clinio Mecenate”, an archeological museum built on the remains of a Roman amphiteathre. Numerous items tell us of the organization of this civilization and of its extraordinary skills in metal work and pottery. In the museum you can admire a collection of gold work, an important multi-coloured head decoration and a large coin of which there are only other two known examples in the world. In piazza San Francesco, underneath the church, there are evidences of the Etruscan civilization in Arezzo, with structures dating back to the VI cent. B.C. In piazzetta San Niccolò, recent excavations have brought to light remains of an Etruscan city wall. In the road running by the Medici Fortress, you can see the remains of a temple dating back around the II cent. B. C.
In 1553 the Chimaera was found in Arezzo during the rebuilding of the city walls: it is considered one of the highest examples of Etruscan metal art. 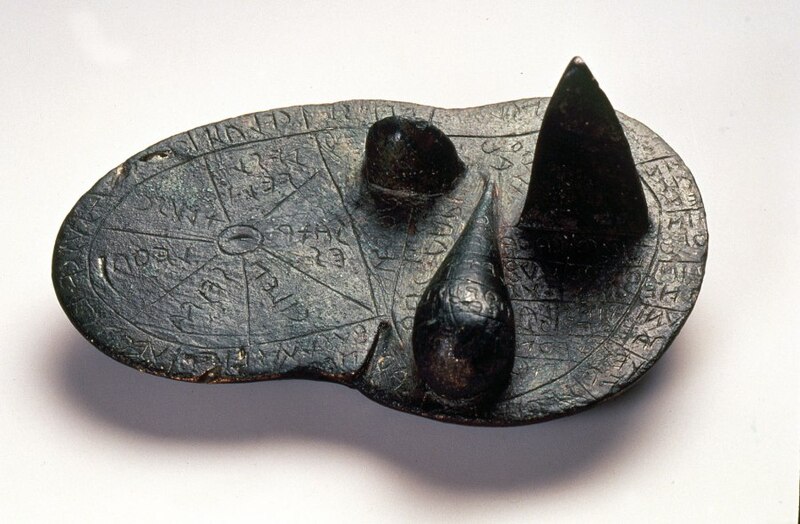 It is currently displayed in the National Archeological Museum of Florence, while a copy can be seen under the Porta di San Loretino in Arezzo. You can also read the “What to See” section to learn more about the Chimaera. 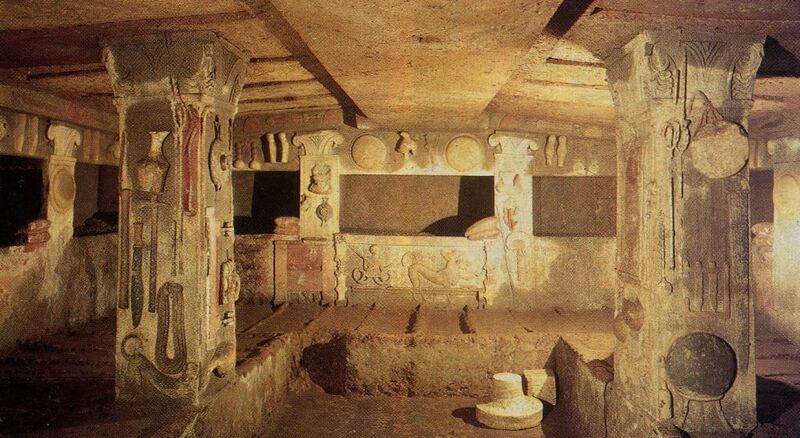 Interesting to see are the Etruscan tombs, which can be admired in several areas in Tuscany and Umbria. 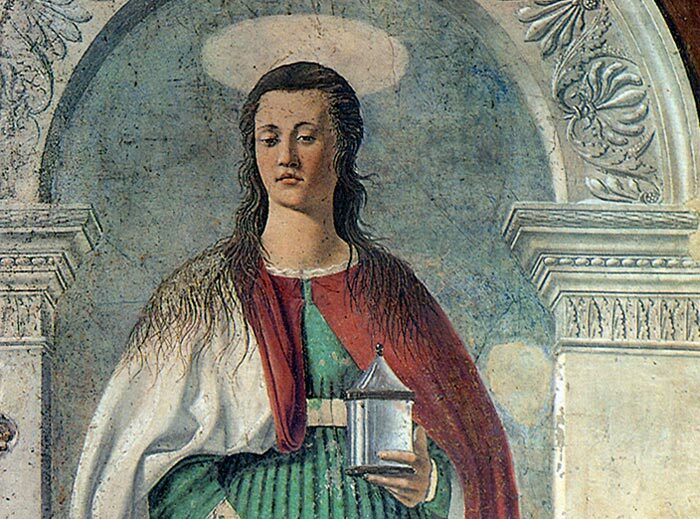 Piero della Francesca: a contemporary artist from 600 years ago! 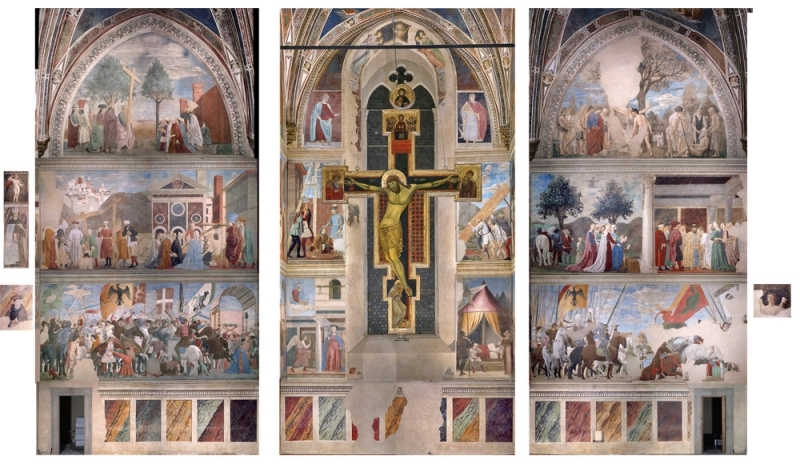 Piero della Francesca, painter and mathematician, was amongst the most emblematic characters of the Italian Reinassance and he managed to blend art, geometry and rationality in a unique way. His Reinassance works of art, deeply influenced other artists, thanks to his constant quest for perspective and light. He was the first artist, 600 years ago, to apply maths and geometry to paintings. Born in Sansepolcro (Arezzo province) in 1412, Piero della Fracesca worked in several cities, always keeping a strong link with his homeland. 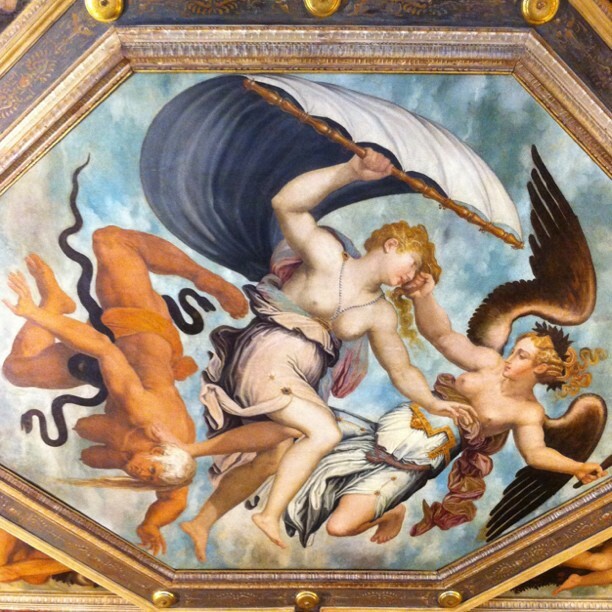 In Arezzo it is possible to admire the famous “Leggenda della Vera Croce” frescoes in the Bacci Chapel and the Maria Maddalena in the Cathedral. 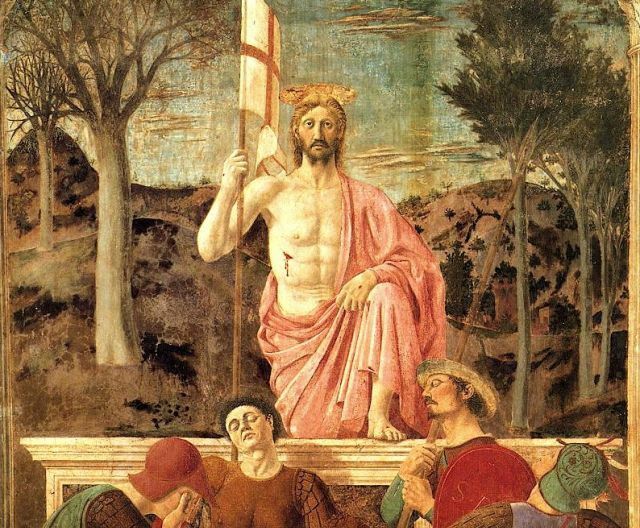 The Piero della Francesca itinerary in the province offers visits in Valtiberina, Sansepolcro and Monterchi, where you can admire many masterpieces from the artist. Typical of Piero della Francesca’s works are the landscapes, which still today, in some areas, are identical to those painted by this great artist 6 centuries ago. 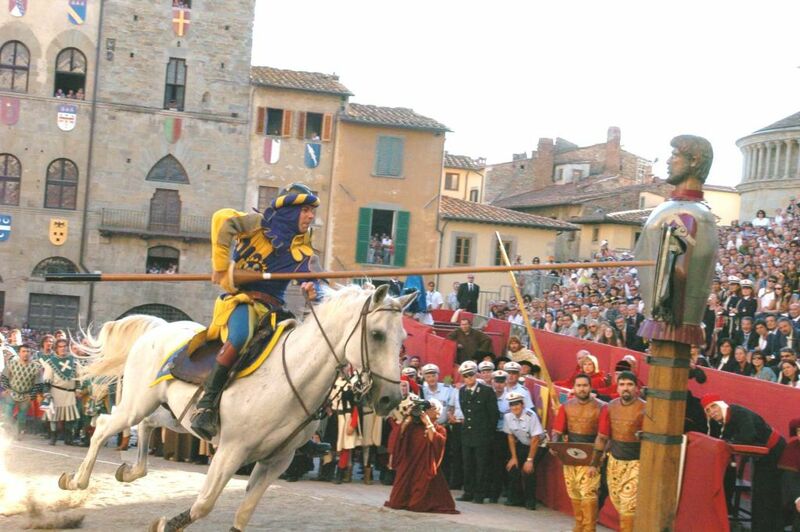 If you are lucky and you drop in Arezzo the last but one Saturday in June or the first Sunday in September, you can’t miss the Saracen Joust. 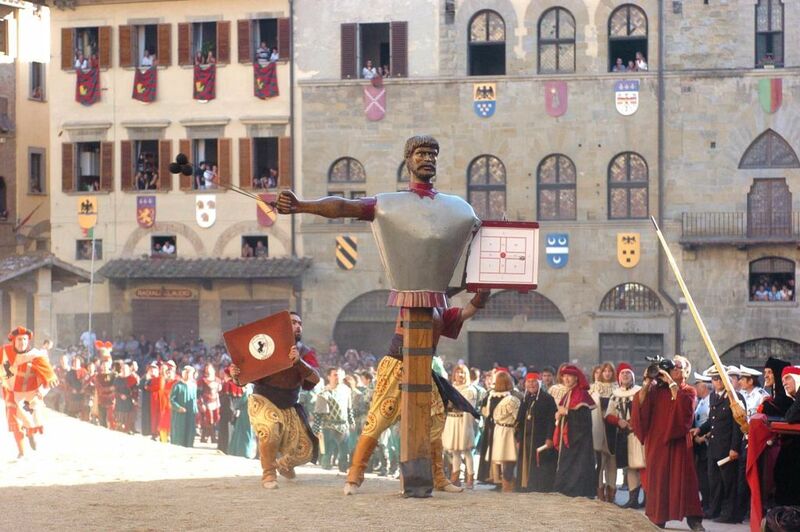 It is an ancient game of chivalry and its origin dates back to the Middle Ages. 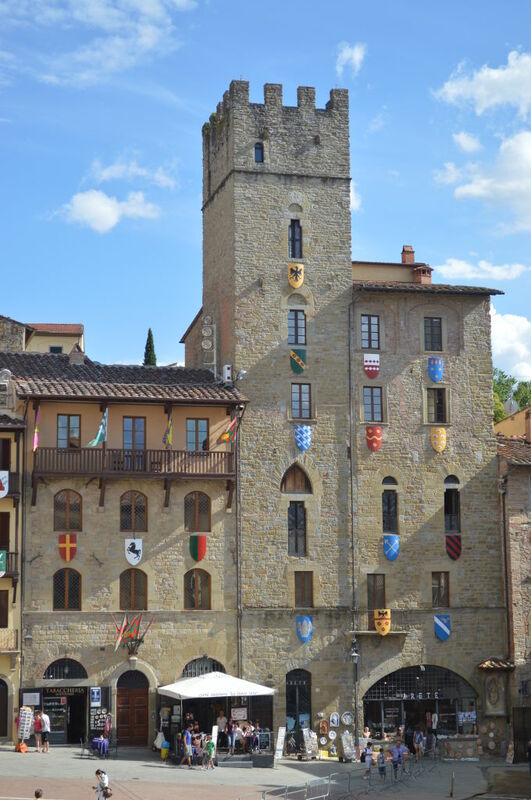 For several days before the joust, the city of Arezzo lives in a cheerful mood, the buildings are totally decorated with the colours of each quarter and you can breathe the atmosphere of ancient times! 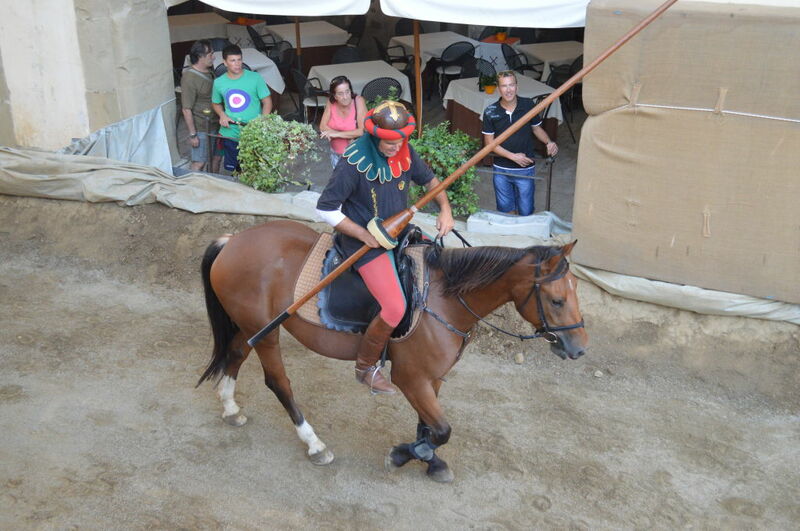 The Saracen Joust was born as an exercise for military training. 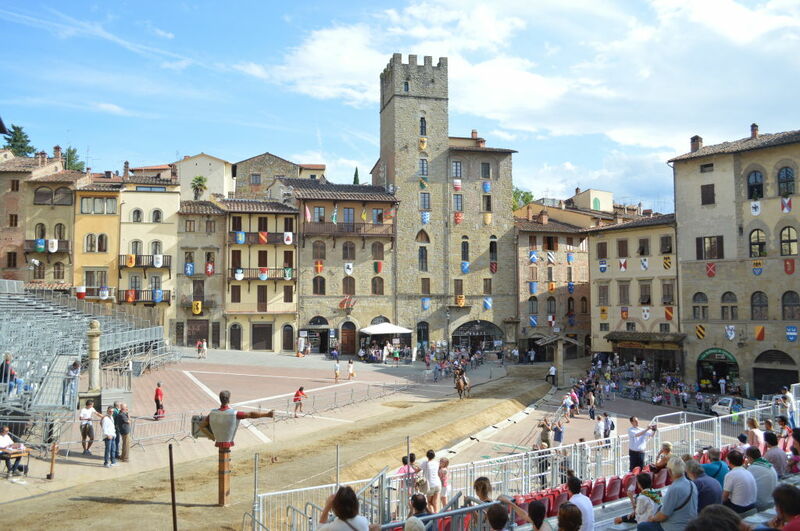 The tournament was regularly held in Arezzo between the 16th century and the end of the 17th century and it was carried on for the whole Modern Age, having an important social function within the urban community. 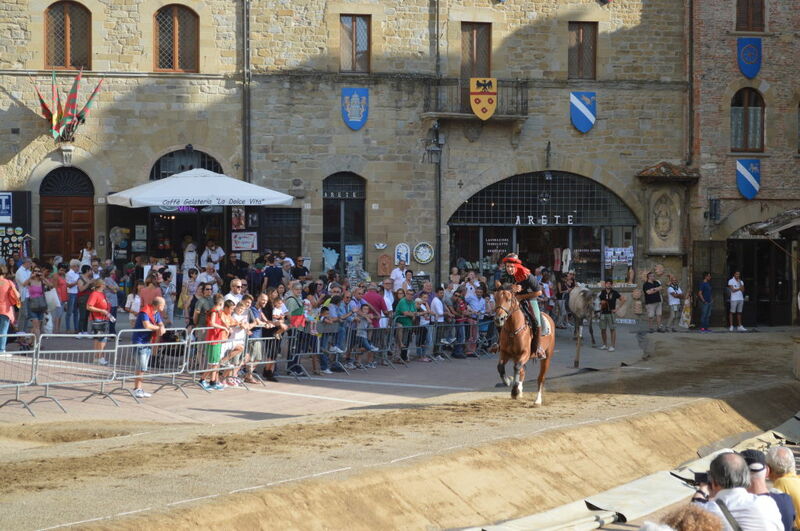 The joust was indeed a great public event during the visit of important authorities in order to show how magnificent Arezzo was. Porta del Borgo, known as Porta Santo Spirito (distinguished by yellow and blue colors). 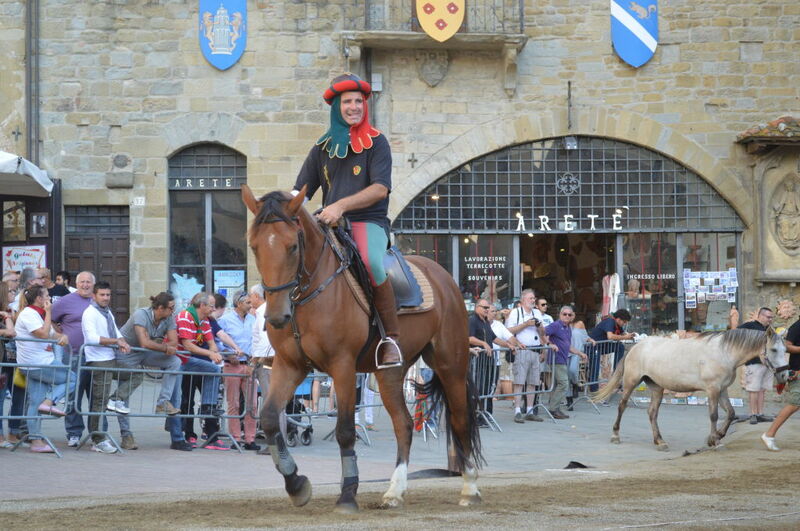 The jousting day starts in the morning, when the town’s Herald reads the proclamation of the joust challenge, and then continues with a colorful procession of 350 costume characters and 27 horses parading along the streets of Arezzo. For one day, you’ll feel as if you are back to the Middle Ages. 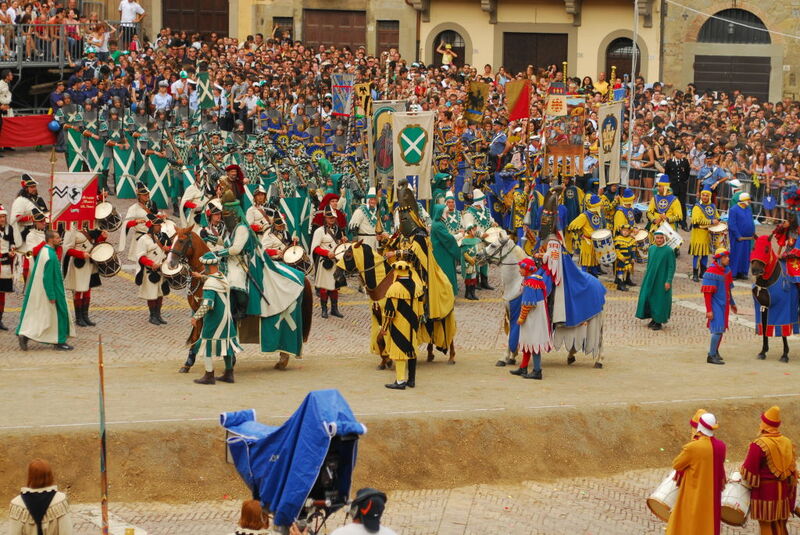 The topic moment of the parade is the blessing of the men-at-arms, which takes place on the steps of the Duomo and is given by the Bishop of Arezzo. 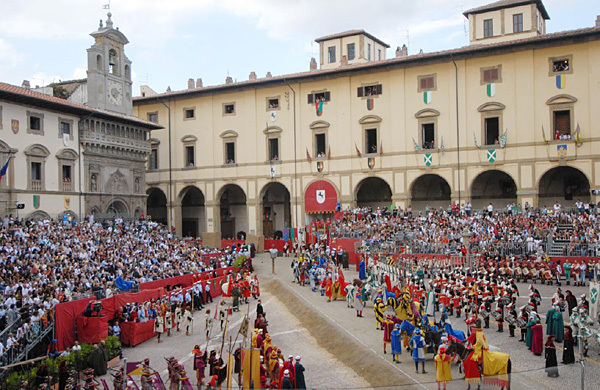 The knights’ tournament takes place in Piazza Grande, guided by the “Maestro di Campo” and preceded by the costume characters and the town’s ancient banners entering the square accompanied by the sound of trumpets and drums. All the buildings and old palaces in the square, are adorned with the heralds, representing each city quarter. 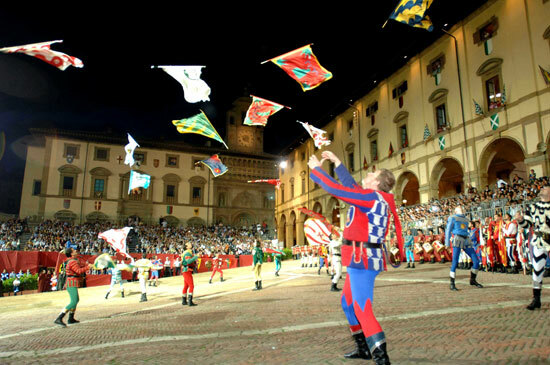 After a charming performance of flag-wavers, the jousters enter the racing field riding their horses, each knight representing an ancient noble family of Arezzo. Then, it’s time for the competition. The jousters of the four city quarters gallop their horses with their lances towards the Saracen, an armor-plated dummy representing a Saracen holding a cat-o’-nine-tails in his hand. Each jouster can make more than one attempt to hit the Saracen and the final result depends on the ability and the courage of the eight jousters (two per each quarter), who have to gallop under the burning sun, wearing very thick typical medieval clothes, trying to get the target with a very long lance. The competition is won by the couple of knights who hit the Saracen’s shield obtaining the higher scores. The quarter associated to the winning knight receives the coveted golden lance. 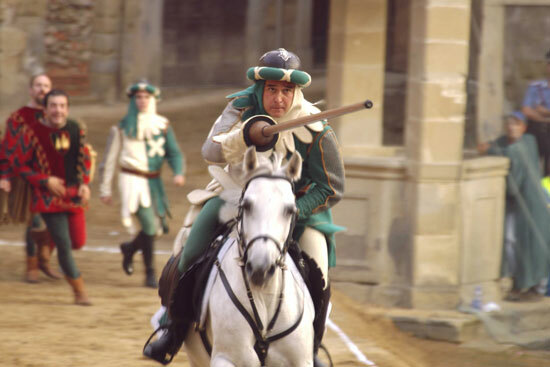 In the event of a draw between two or more quarters after the standard number of charges (two sets of charges for each jouster) the prize is assigned with one or more deciding charges. At the end of the joust, mortar shots will hail the winning quarter. 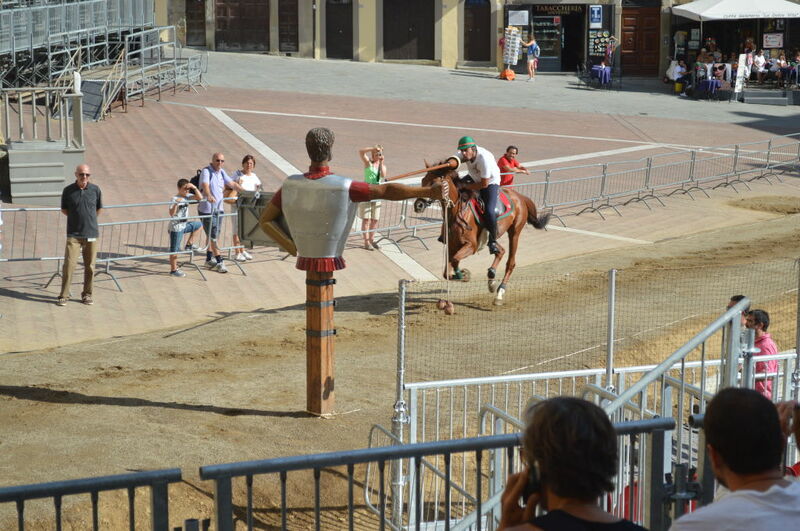 People from Arezzo take this joust very seriously, as if it’s a matter of life or death, as if the quarters has something to lose. 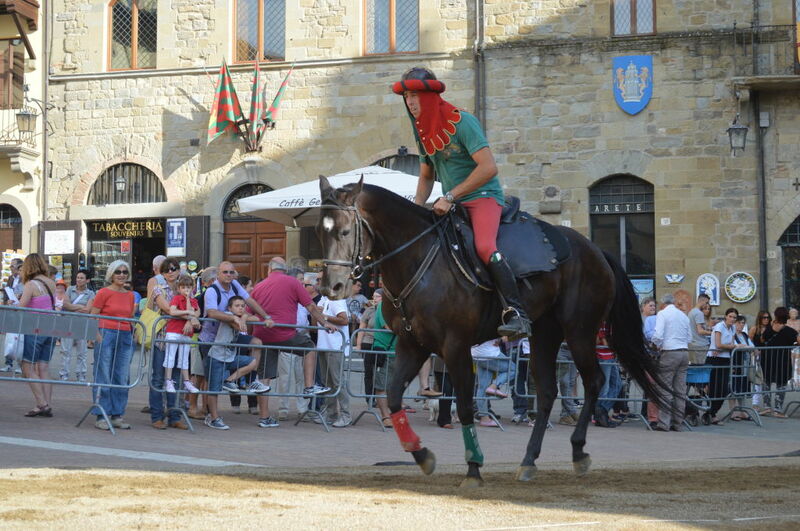 Piazza Grande is packed with people, tickets to attend the Joust are sold out months before the Joust takes place and the support from the bleachers is passionate. The Joust of the Saracen is such a convivial event, that the days before the Joust people from the same quarters meet up in big halls to eat together, drink some good wine and have fun all together. It is such a cheerful event, that they welcome other people and tourists to take part to the celebrations. Just one warm advice if you decide to go: get ready to take part in a whirlwind of songs, dances and jokes, so don’t go with your evening dress or your Gucci shoes on your feet, because you may be an unaware target of the accidental launch of a red wine glass! But this is the funniest and most characteristic part of the event after all! 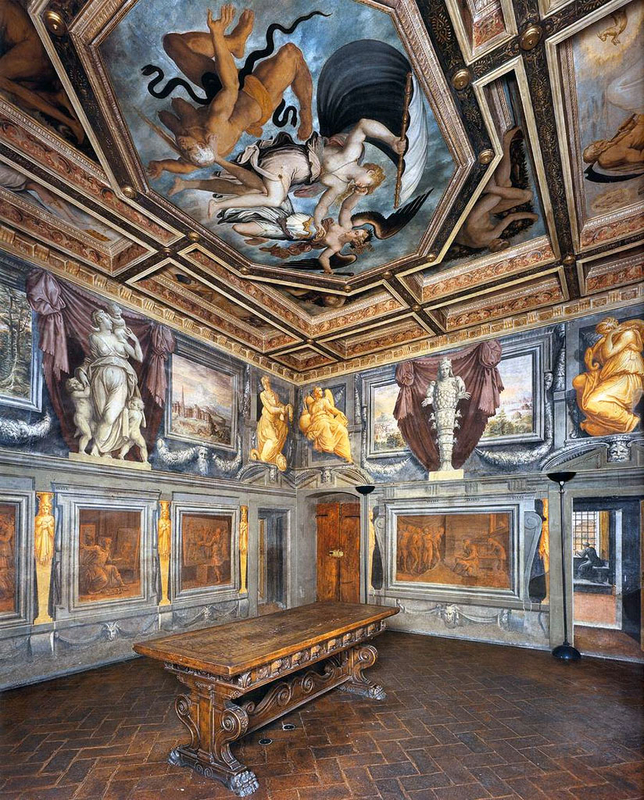 Giorgio Vasari was a painter and architect, born in 1511. Great friend of Michelangelo, he’s one of the most famous artists from Arezzo. In 1529, he visited Rome where he studied the works of Raphael and other artists of the Roman High Renaissance. 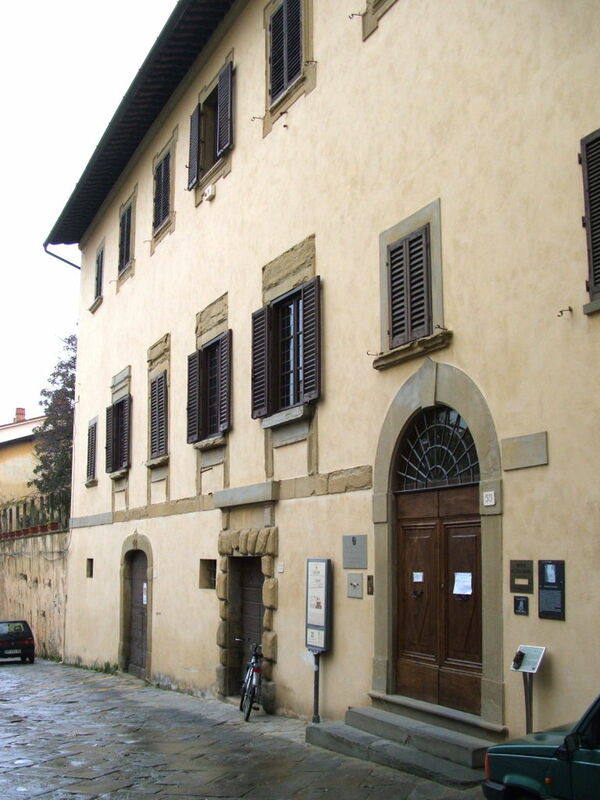 Vasari was perhaps more successful as an architect than as a painter. His loggia of the Palazzo degli Uffizi by the Arno opens up the vista at the far end of its long narrow courtyard, a unique piece of urban planning that functions as a public piazza, and which, if considered as a short street, is unique as a Renaissance street with a unified architectural treatment. 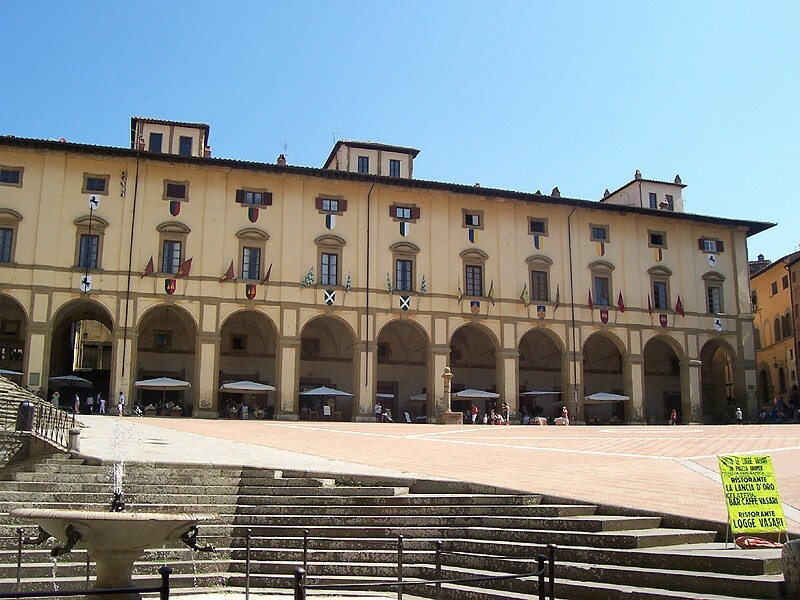 In Arezzo it is possible to admire the “Logge” in the amazing Piazza Grande and you can also have the chance to visit Casa Vasari: the building came into his possession in 1540 and was restored by himself over the following years. 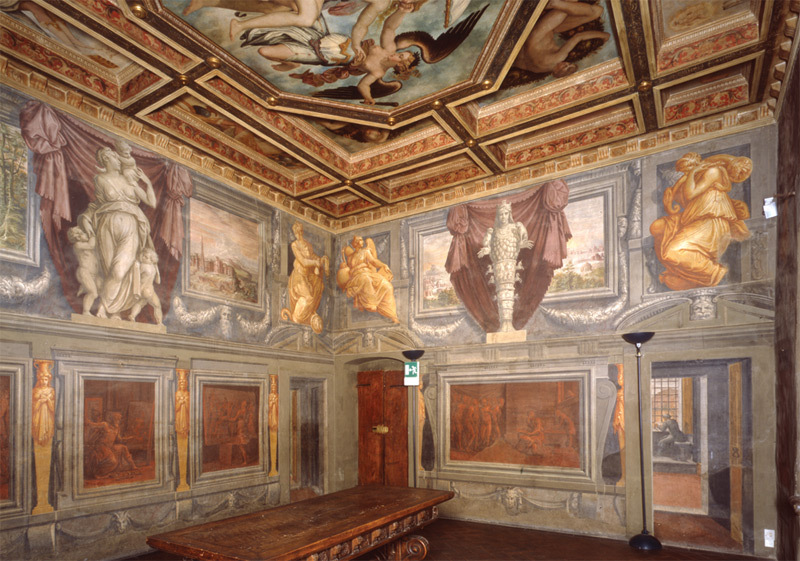 It is composed of 3 floors and a hanging garden: on the “noble floor” the rooms are decorated by Vasari himself and some of his apprentices. 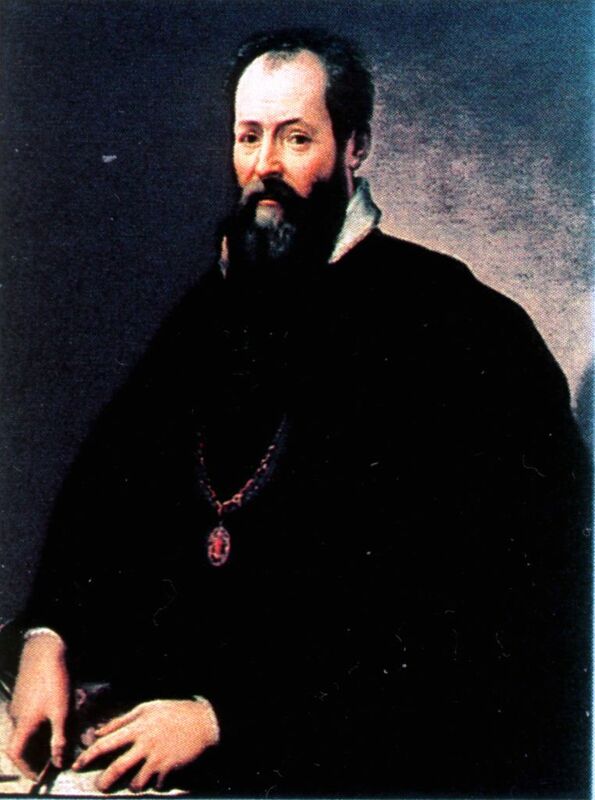 Giorgio Vasari was also the first art historian with his Lives of the Most Eminent Painters, Sculptors, and Architects, dedicated to Grand Duke Cosimo I de’ Medici, which was first published in 1550. He was the first to use the term “Renaissance” in print. 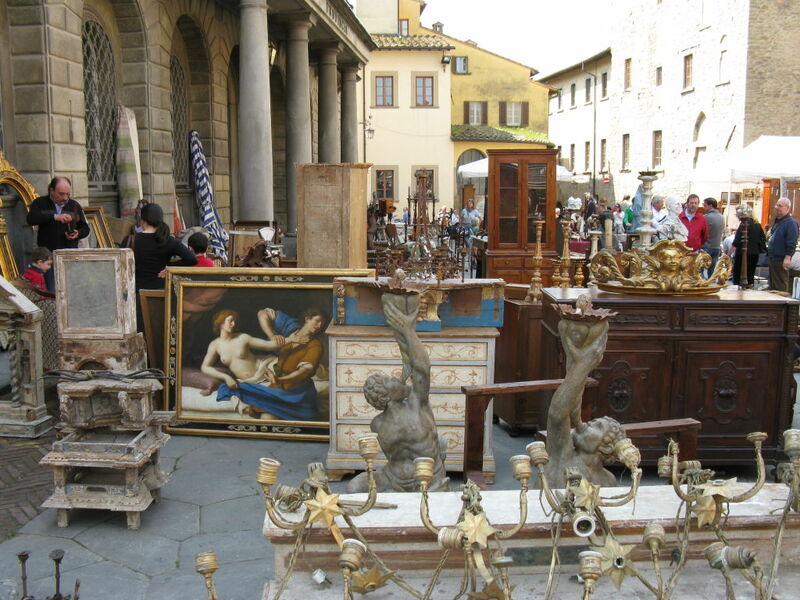 As we were saying in the “What to See” section, Arezzo is very cultural a city, where history and architecture are central and consequently antiques represent a big part of the Arezzo business, to the extent that antiques lovers from all over the world, come to Arezzo if they want to buy really unique and precious items. 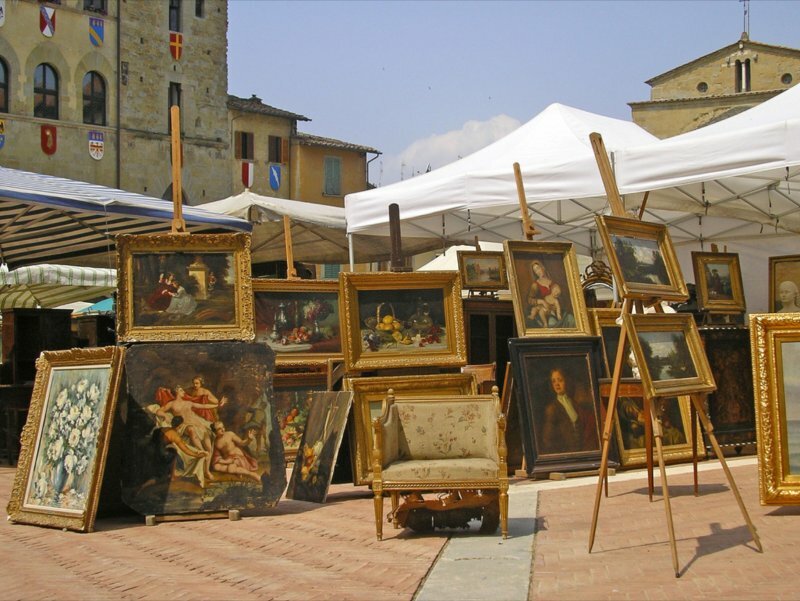 The Fiera Antiquaria of Arezzo takes place in the city center, in the amazing scenario of Piazza Grande and the streets nearby. 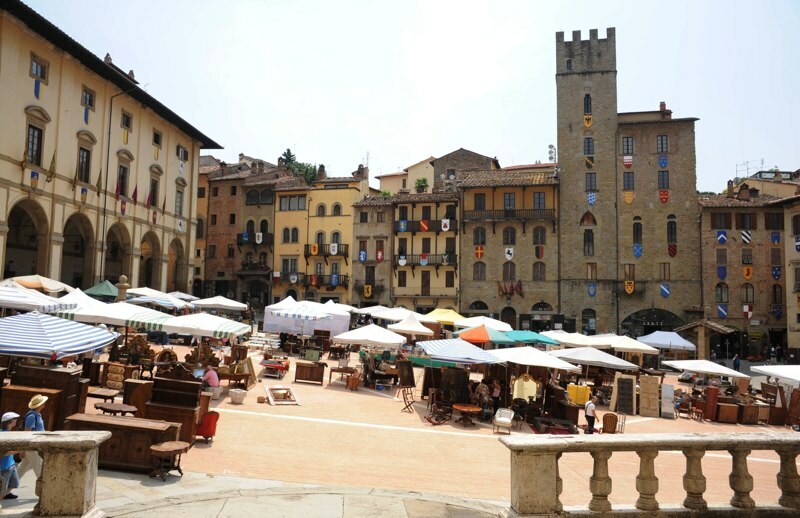 The first edition took place in 1968 and from then the tradition goes on: the first Sunday of every month (and Saturday preceding) hundreds of dealers, collectors and antique lovers come to Arezzo to discover unseen items. 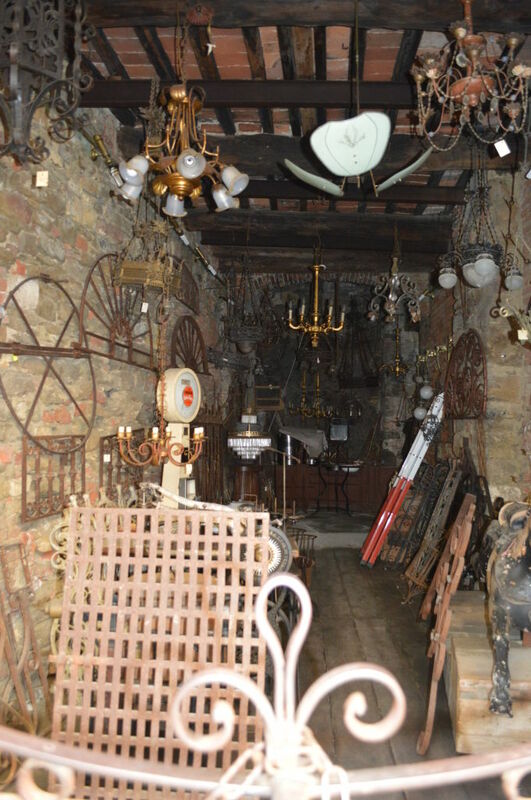 At the Fiera Antiquaria of Arezzo, it is possible to find antique and vintage furniture, paintings, sculputres, ceramics, jewellery, glassware, watches, iron and copper items, rare prints and old books as well as trinkets and curiosities of all kinds! 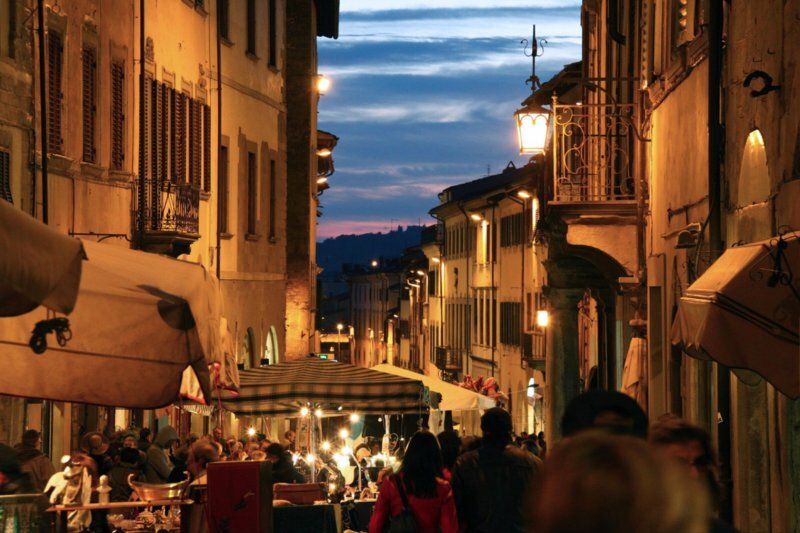 Arezzo in general is full of the best antiques shops in the world, so whenever you go, you can enjoy your nicest antiques shopping!